Creating is my passion. I have always had a strong desire to express myself creatively for as long as I can remember, which is what lead me to the design field. JLK Interiors is a full service interior design firm, specializing in kitchen & bath design, project management, space planning, furniture layout and color consultations. Feel free to reach out to us! Brandi’s work consists of single-room design to entire home transformations. What sets her apart from other designers is her ability to design with home furnishings her clients may already have. My work ranges from color consulting to full scale remodeling. My strength and background is in modern and mid-century modern design. I love what I do, and I strive to make the process fun. Ventura County Interior Design Firm Best of Houzz 2017! Antoinette Designs Inc. is recognized nationwide as a full service concierge interior design firm specializing in distinctive, luxurious spaces that tantalize the mind & indulge the senses. Established in 2003 by Christine Craig, Designology creates unique spaces that stand the test of time and not only meet but exceed our clients' expectations. Our passion is helping you find your personal style along the way and creating spaces that are beautiful, functional and ring true for you. As a design and color expert, I work closely to help you achieve your design goals. I am here to help you create a beautiful interior that you will love to call home. 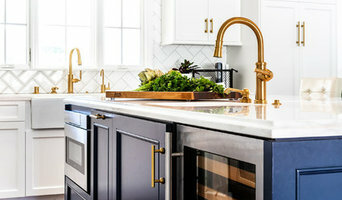 I'm Jennifer Grey, Southern California based Color Specialist and Designer. I am passionate about designing spaces and color palettes that reflect fresh, timeless and classic design. Need a two hour consultation to get yourself headed in the right direction? There is no job too small. Some of my best clients started out with a paint color consultation! It is my goal to help you create a beautiful and timeless interior that you will love to call home. Creating a beautiful, comfortable home shouldn't be overwhelming. I work closely with clients to help them discover their own unique and individual style, offering a very personalized level of service ensuring that each project is given the proper attention to detail it deserves. I believe the most important skill any designer can bring to a project is the ability to listen, successfully transforming ideas into reality. For design and color consultation rates, please use the green contact button on the right-hand side. I would be delighted to work with you to turn your vision into a reality. Each member of the team at Designs of the Interior has been involved in design for decades, and came together when Designs of the Interior formed in 1997. The work of a professional can make all the difference. Whether your home has 10 bedrooms, or your apartment is 800 square feet, it can be tricky to create a cohesive look that is representative of your style. That's where a local Brandeis interior designer comes in. A home decorator will help distill your tastes and ideas into a design that suits the needs of your space. Whether you need help creating a functional space plan, rearranging existing pieces, designing the inside of a new home, or simply sourcing amazing furniture and decor, seeking the help of professional interior designers and decorators in Brandeis, CA is a must. A good home design professional will hone your style down to its very essence and be able to choose a functional layout that feels natural to you. Interior design companies can be involved as much or as little as the client desires. 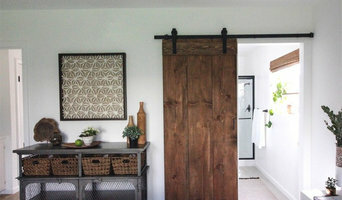 Many clients who hire an interior decorator in Brandeis, CA — particularly those who are remodeling — have a good sense of how the room should look and what products they should use. Often clients will insist that interior decorators use the products already present in the house. Other times a designer will need to start from scratch — especially if this is a newly purchased or just-built home. An interior design company will need to figure out exactly what the client needs, which includes organizing rooms, picking flooring and wall colors, and finding furniture to complement it all. Sometimes that means he or she will have to recruit help from other Brandeis, CA home professionals to help create the perfect look for your renovation. Here are some related professionals and vendors to complement the work of interior designers & decorators: Architects & Building Designers, General Contractors, Home Builders, Design-Build Firms, Photographers. Do your research before meeting with an interior designer or home decorator in Brandeis, CA. Ask yourself what you want your space to become and what it will be used for. Figure out the extent of what you need help with, what your must-haves are and what your budget is. Interior design services can add up fast, so be up front with a potential design firm or individual from the beginning. Also, pick an interior decorator that fits your style. Browse through the portfolios of different Brandeis interior design firms and decide if you would live in those houses. Just because you like something doesn’t mean you could live in it. There's a big difference! Find an interior designer or home decorator in Brandeis, CA on Houzz. Narrow your search in the Professionals section to find Brandeis interior designers near you. You can also look through Brandeis, CA photos to find a room you like, then contact the design firm who designed it.